Advancing the fields of engineering and manufacturing in our communities. Congratulations to the Reed City High School FIRST Robotics team for winning their second District Chairman’s Award in Muskegon, Michigan. 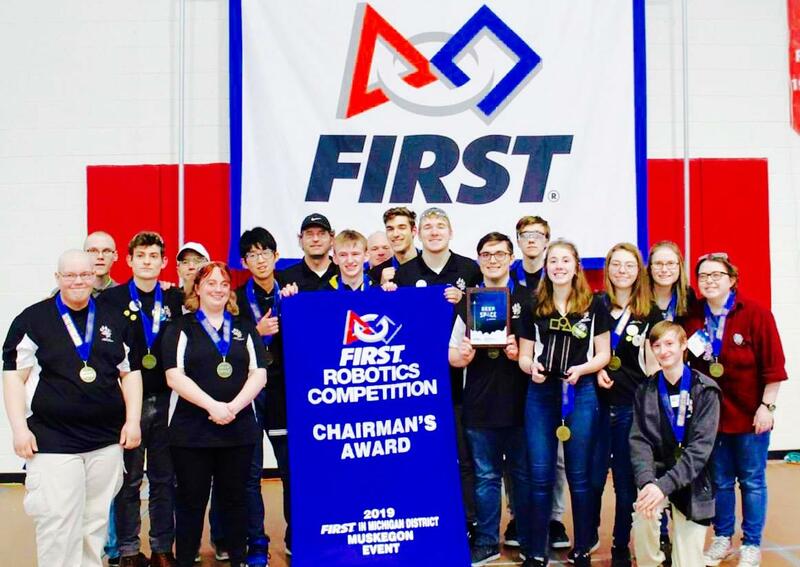 The Chairman’s Award is the most prestigious award presented by FIRST Robotics and honors the team that best represents a model for other teams to emulate and best embodies the mission of FIRST. The award was created to inspire greater levels of respect and honor for science and technology, and encourage more of today’s youth to become science and technology leaders. 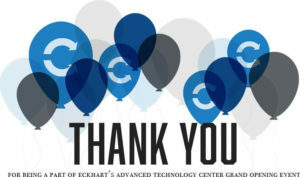 Eckhart is proud to sponsor the team and wishes the team well at the upcoming State Tournament! The 2019 Capital Area Manufacturing Council (CAMC) Annual Dinner & Awards Ceremony took place on Tuesday, March 5th at MSU’s Kellogg Center. At this year’s event, CAMC invited high school robotics teams from Waverly, Mason and Stockbridge. The students had the opportunity to show off their robots and some of the attendees were able to drive the robots! 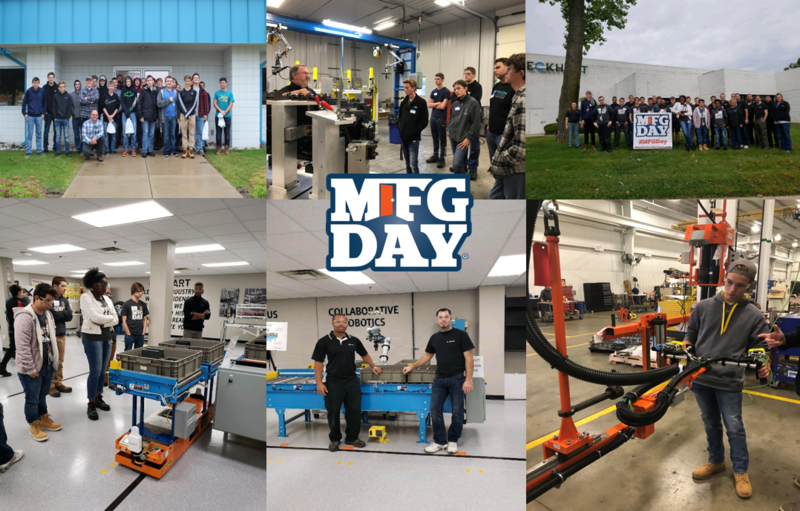 Thank you, CAMC, for hosting such an incredible event and contributing to manufacturing in mid-Michigan! 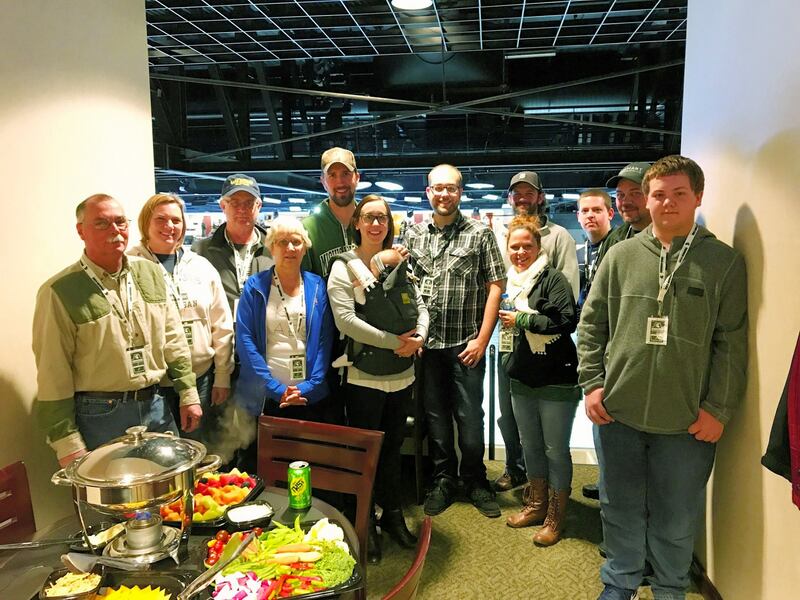 A group from Eckhart enjoyed cheering on the Michigan State Spartans and Ohio State Buckeyes at last Friday’s hockey game. MSU pulled off an exciting victory in overtime! On December 6th, 2018 the Warren Team hosted the Holy Redeemer FIRST Tech Challenge Robotics Team. This was a chance for the students to enjoy hands-on demonstrations with our Autonomous Guided Vehicles. Holy Redeemer Robotics Team (Techno Lions) also did a presentation for the Warren team. Thank you Holy Redeemer for showing the Warren team your robot and teamwork! 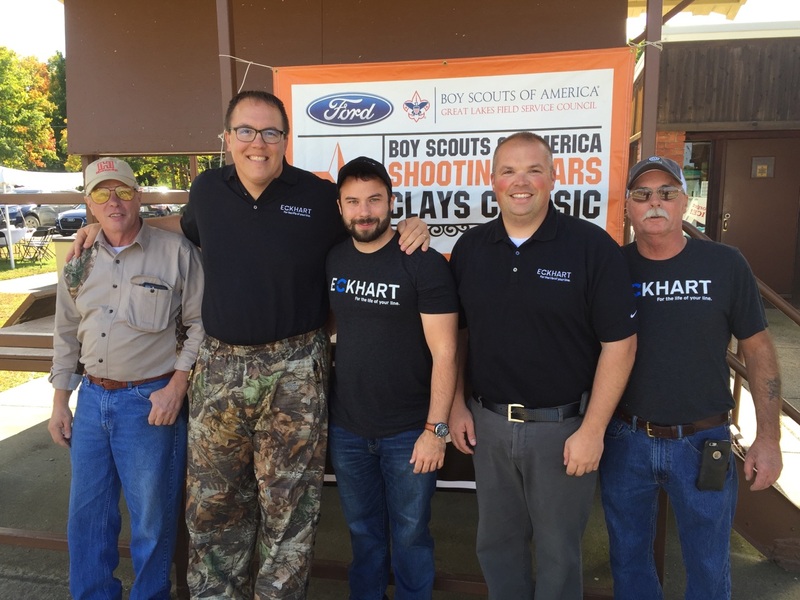 Ford Motor Company recently hosted the 30th Annual Shooting Stars Invitational sponsoring the Boy Scouts of America. With 2.4 million youth participants and over 1 million volunteers, the Boy Scout’s goal is to train youth in responsible citizenship, character development and self reliance. Eckhart was proud to be part of such an incredible event! On August 25th, Eckhart sponsored a Family Fun Night for the Warren and Algonac locations’ family, and friends. 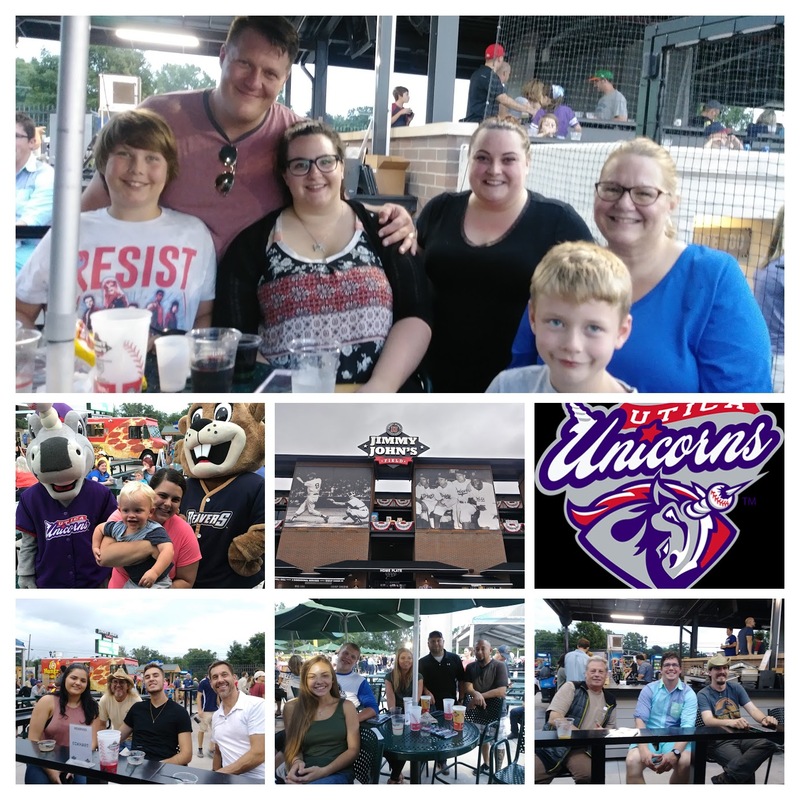 Everyone was treated to field-side seats at the Utica Unicorns vs. the Birmingham Beavers baseball game. Even with some rain showers the catered dinner and game did not disappoint! We appreciate all the time each employee puts in and the family sacrifices that are made. 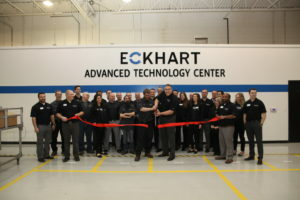 Our employees help Eckhart to better serve our customers and we enjoy being able to give back to them with employee appreciation events like this. 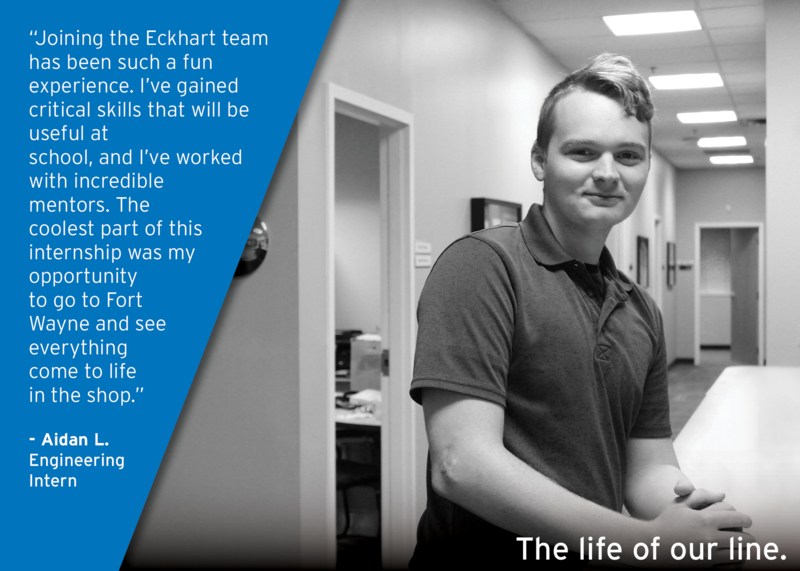 Eckhart Intern Spotlight: Meet Jeremy S.
Meet Eckhart’s Controls Technician intern, Jeremy! Jeremy is a rising senior at Lansing Community College studying Motor Controls. 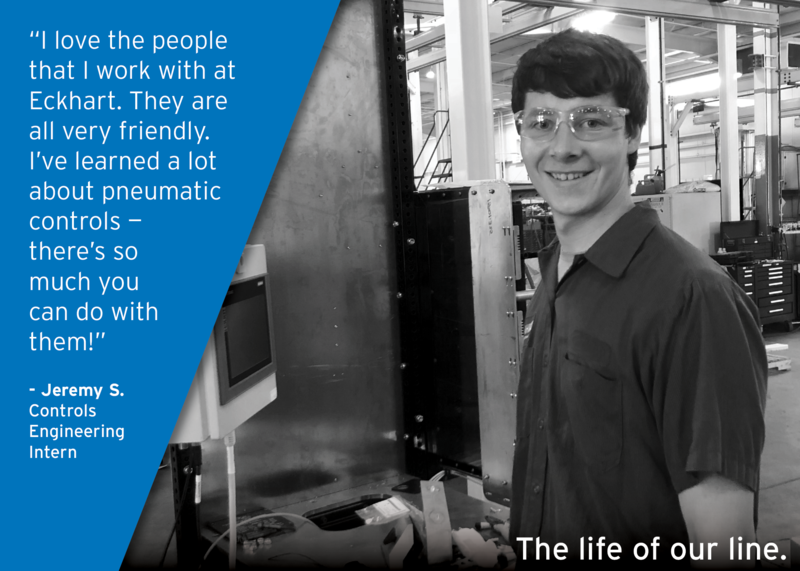 Throughout his time at Eckhart, Jeremy has focused on pneumatics and electrical controls. When not at school or working, Jeremy enjoys hunting, fishing and any excuse to be outdoors. Eckhart Intern Spotlight: Meet Aidan L.
Meet Eckhart’s Engineering intern, Aidan! Aidan is a rising senior at Michigan Tech University studying Mechanical Engineering. For the past few months, Aidan has focused primarily on learning the process of designing and building tools along with developing an understanding of the computer program “NX”. Aidan is eager to apply the skills he acquired at Eckhart in the classroom this fall. Eckhart Intern Spotlight: Meet Jorjan W.
Meet Jorjan! Jorjan is studying entrepreneurship at Central Michigan University. 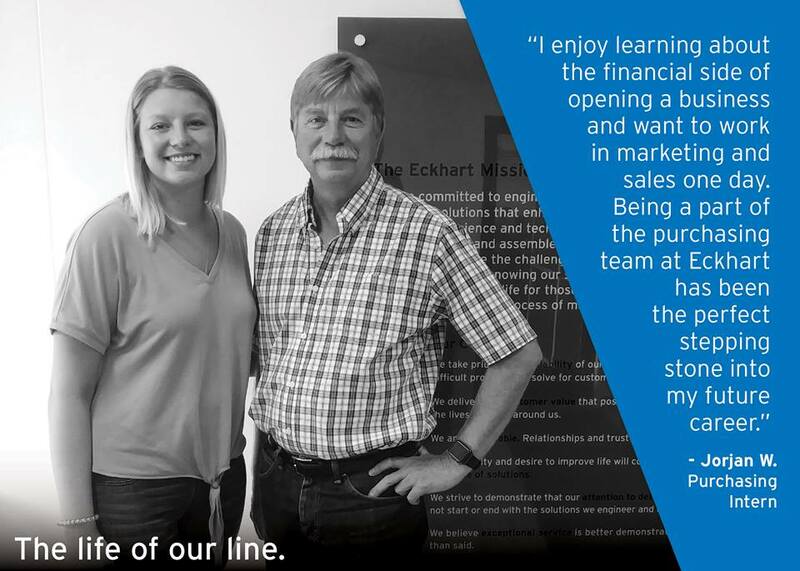 This summer she joined the Eckhart team in Algonac, working alongside the purchasing department on pricing and quoting. She also assisted in the shipping and receiving department. Eckhart Intern Spotlight: Meet Joe M.
Meet Joe! 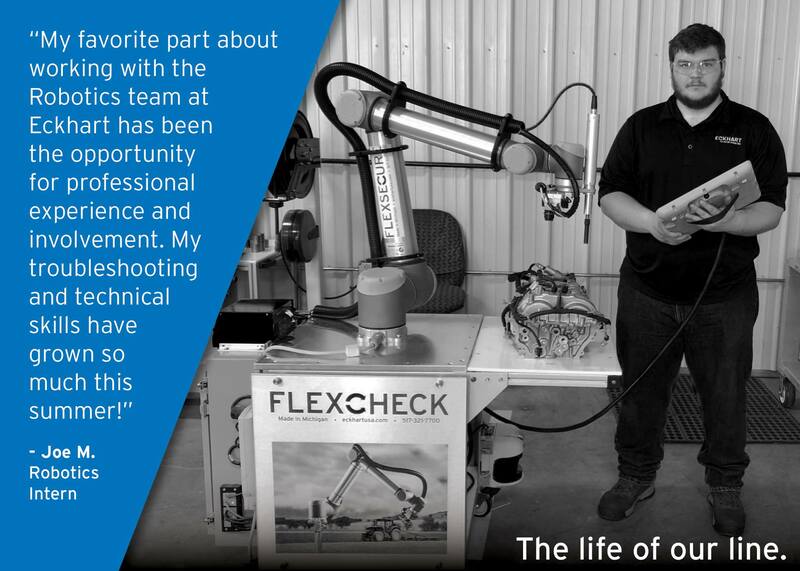 This summer, Joe has had the opportunity to work on several robotics projects and traveled to perform field service for one of our top customers, Oshkosh Defense. Joe is a student at Lansing Community College studying Mechatronics. Throughout his time at Eckhart, Joe has developed professionally by learning invaluable technological and troubleshooting skills. In his free time, Joe enjoys spending time with his family and building computers. Eckhart Intern Spotlight: Meet Cade K.
Cade is studying Finance at the Broad College of Business at Michigan State University. 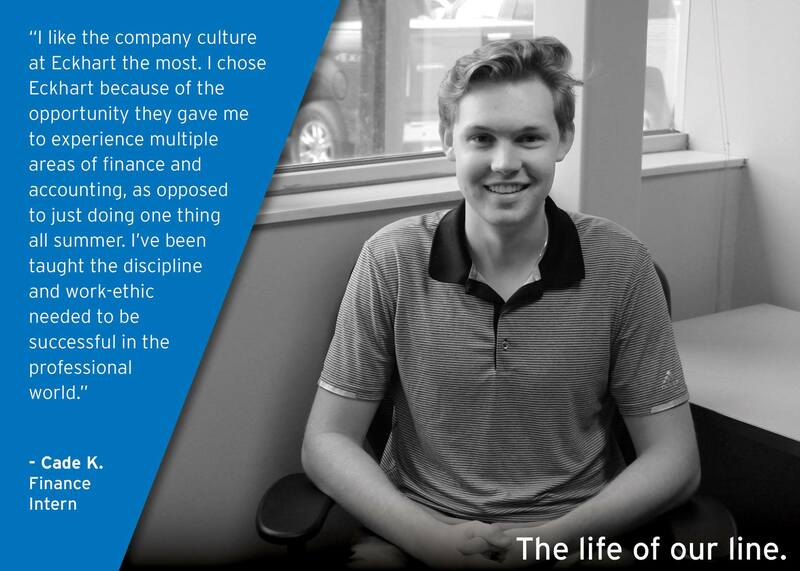 This summer, he joined the Eckhart team to work alongside the finance department. Cade has been an excellent addition to the Eckhart team. Throughout his time here, Cade has contributed to multiple projects including consolidating, payables and backlog across all of the Eckhart locations. Eckhart Intern Spotlight: Meet Chrissy P.
Meet Chrissy! Chrissy is a Kettering University student gaining valuable experience this summer as an intern with our Electrical Engineering team. When not working, Chrissy enjoys being active with 4-H and taking care of her cow, one of the many animals on her farm. 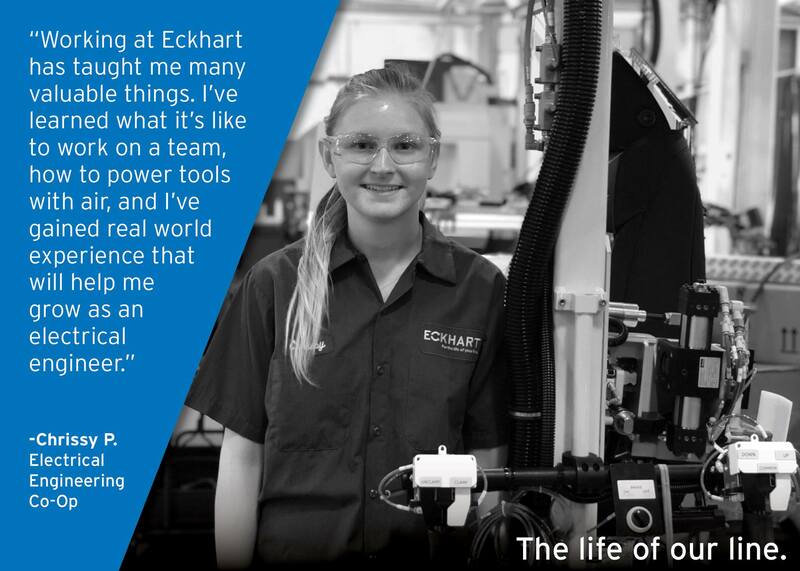 Eckhart is committed to investing in the development of students, providing them the hands-on manufacturing experience and education that will make them the future leaders of our industry. On May 19th Eckhart sponsored a Family Fun Night in Lansing for employees, family, and friends. 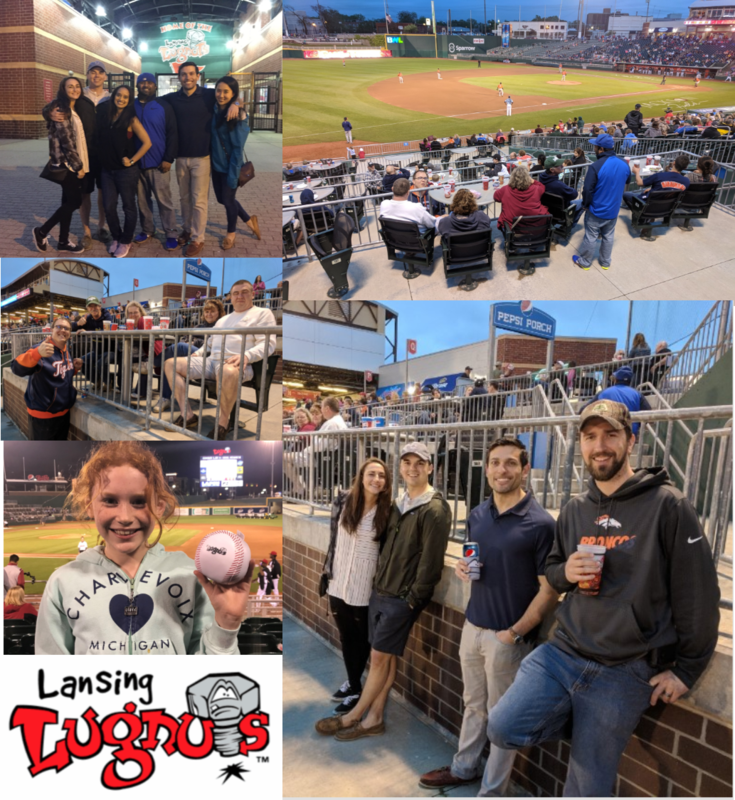 Everyone was treated to premium field-side seats at the Lansing Lugnuts baseball game and the catered dinner and post-game fireworks did not disappoint! We appreciate how hard our employees work and the sacrifices family & friends make to afford each of us the opportunity to serve customers who face unprecedented challenges and ever-changing deadlines. The teamwork and camaraderie nurtured at employee events such as this helps keep our company culture strong! 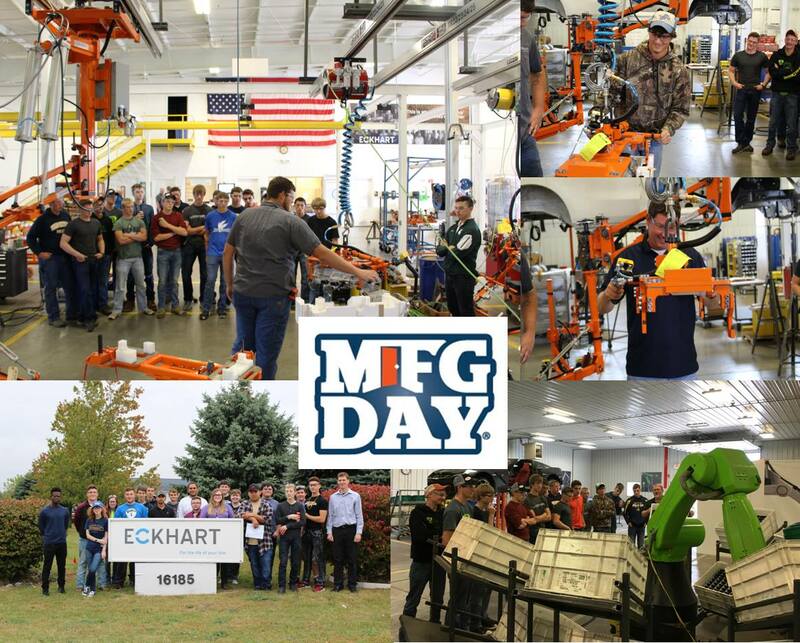 Eckhart is proud to be a part of Michigan’s manufacturing environment. 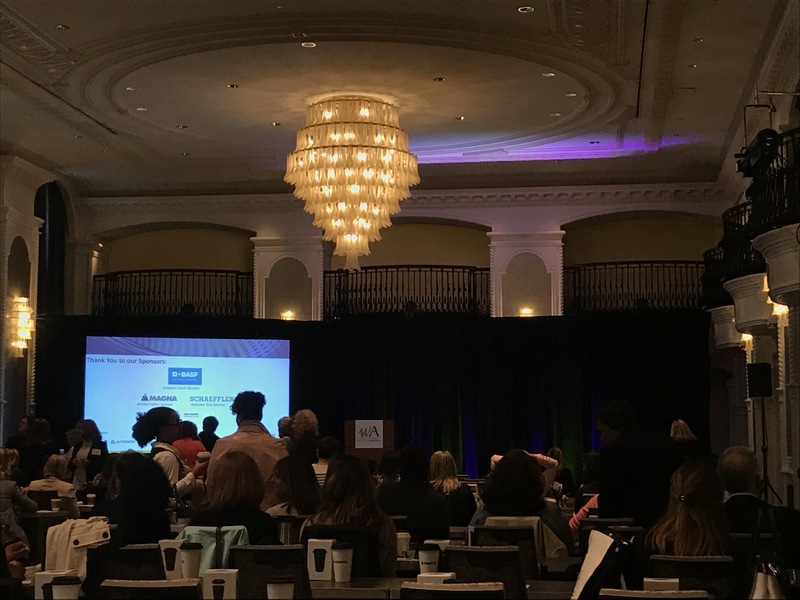 A few of Eckhart’s female leaders attended The Women in Automotive conference to network with others in the industry & discuss topics related to the unique opportunities and challenges women encounter in automotive. Congratulations to the Reed City Cyber Coyotes for moving onto state championships! 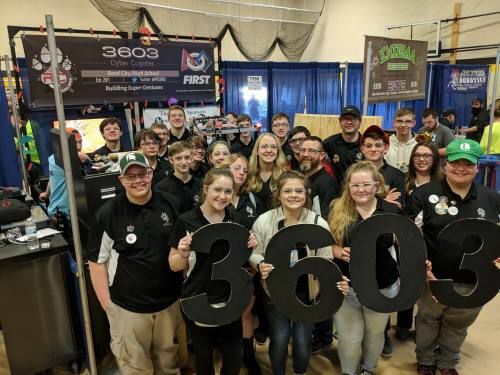 Eckhart’s Reed City location, Logic Plus, Inc. sponsors the Reed City robotics team and we are proud to see continued success and learning in the robotics field. 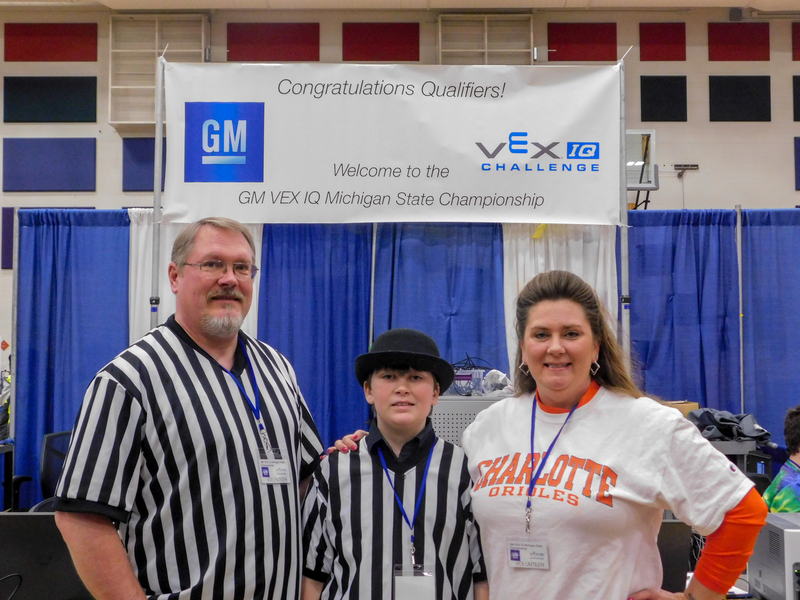 Sheldon Coney, our lead robotics engineer, and his family recently volunteered at the VEX IQ State Championships. 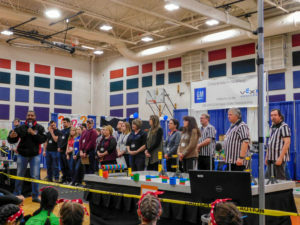 Held in Charlotte, MI, VEX tests the skills of aspiring robotics designers, challenging them to score points by placing rings in a playing field using kit-built robots. 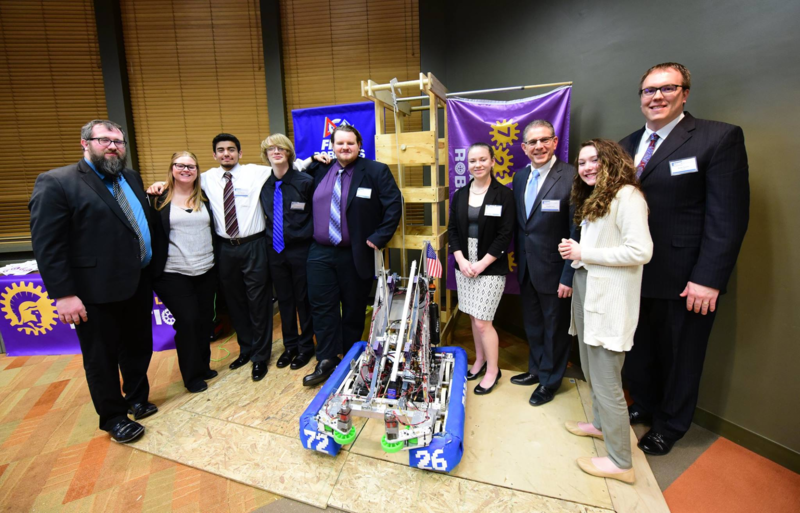 Bringing the same expertise and passion for the field of robotics he brings every day to Eckhart, Sheldon is helping inspire and promote the continued growth of the world’s most advanced manufacturing, right here in Michigan. We would like to thank everyone for making our Grand Opening and Ribbon Cutting celebration a resounding success! 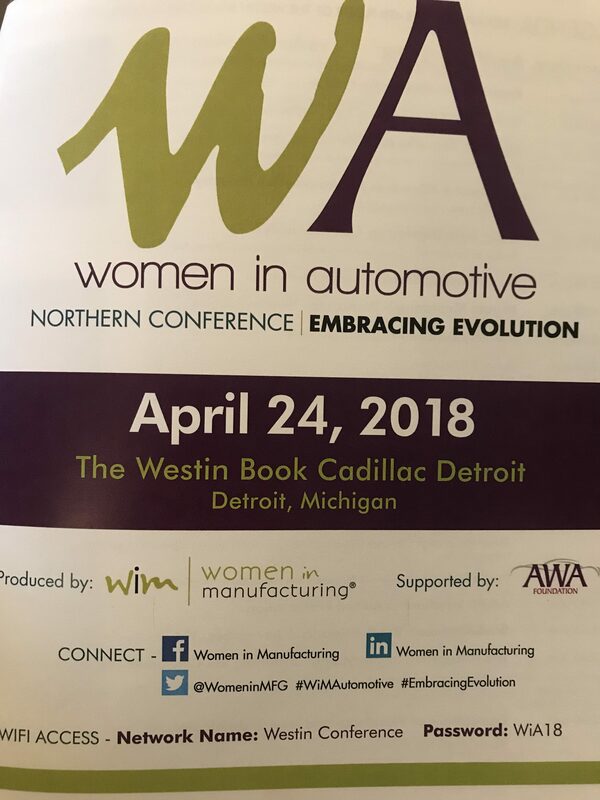 In addition to showcasing our advanced manufacturing solutions, we had the pleasure of hosting WJR 760 AM radio host Paul W. Smith with live coverage of our celebration. Our customers and suppliers are the reason for our success and we are extremely grateful for all of your continued support. Our company is built on improving the life of your line, and we are thankful for the opportunity to serve you. Special thank you to Stratasys, Tanner Friedman, WJR 760AM Radio, Cappuccino Man, MiPromos, Dapple Advertising, Annette’s Creations, Natalie’s Bakery, Great Lakes Tents, Macomb County Executive Mark Hackel, Junior Achievement, Morrell Group & more. We couldn’t have done it without your contributions! 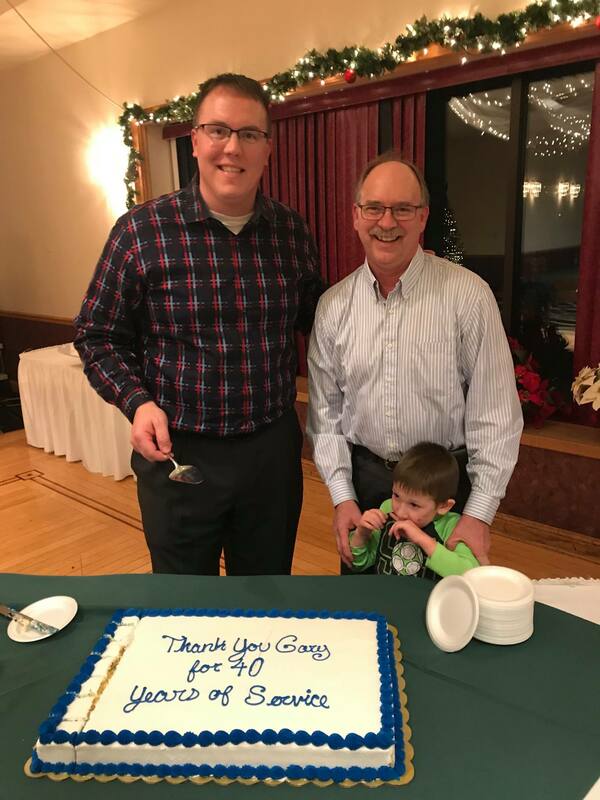 Eckhart had a wonderful time celebrating Gary Dryer’s 40 years of service at our annual Christmas party on Saturday. Congratulations Gary! 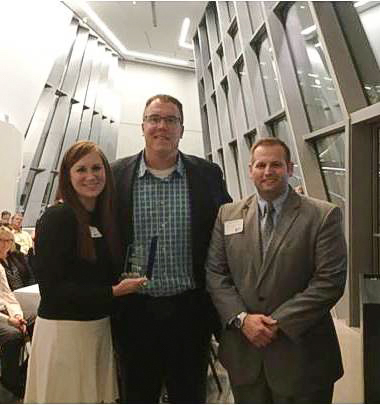 CAMC (Capital Area Manufacturing Council) 2016 Award banquet – Eckhart was awarded Lansing Community College Partner of the Year. Pictured L to R: Stephanie Schanher (Eckhart Director of Human Resources), Andy Storm (Eckhart President & CEO), and Chad Borodychuk (LCC Director of Corporate Training & Continuing Education). 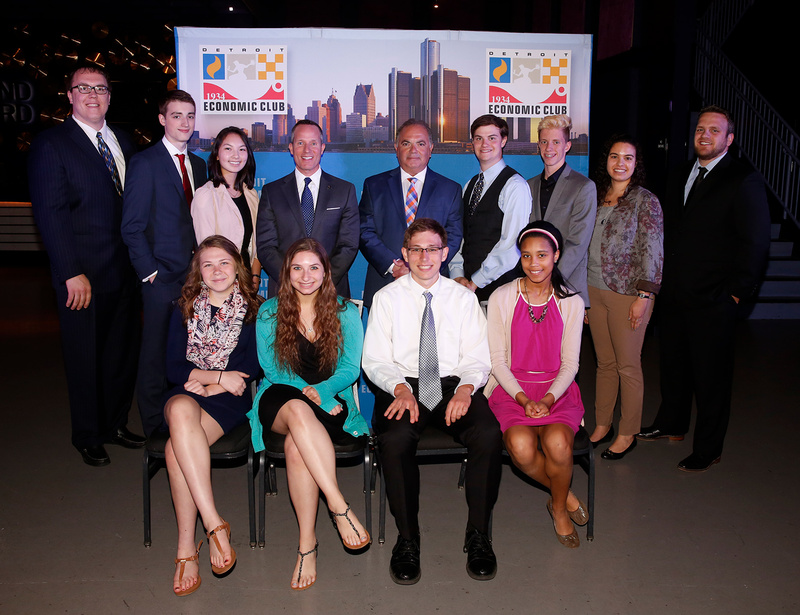 Special thanks to the Detroit Economic Club for hosting another great event in the Motor City! It was great to see 1,100+ business professionals celebrate the 116th season of Tiger baseball in Detroit and also participate in the DEC’s Educational Outreach Program! Capital Area Manufacturing Council (CAMC) 2017 Awards banquet – Andy serves on the board of CAMC and this photo includes the board of directors of CAMC. 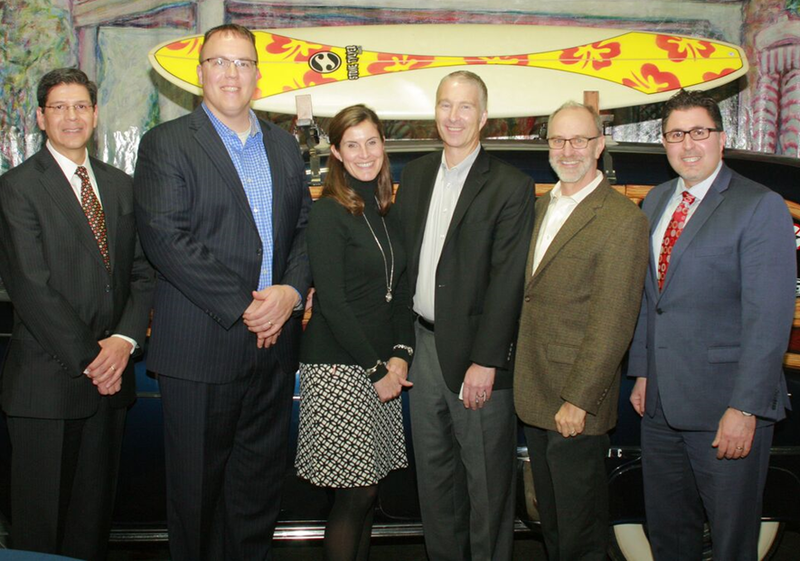 Pictured L to R: Jorge Ramos (Chief Administrative Officer of Orchid Orthopedic), Andy Storm (President & CEO of Eckhart), Kelly Preston (President and Co-Founder of Capital Steel & Wire), Mike Zamiara (CFO of Niowave), Mitchell Tomlinson (President & CEO of Peckham) and Dino Muzzin (Vice President & General Manager of Emergent BioSolutions). Thanks to the CAMC for hosting the 2017 Annual Recognition Dinner at the R. E. Olds Transportation Museum in downtown Lansing on Monday, December 6th. Congratulations to Kelly Preston Co-Founder & President Capital Steel & Wire, Mike Zamiara CFO Niowave, Jorge Ramos Chief Administrative Officer Orchid Orthopedic, Dino Muzzin VP & General Manager of Emergent BioSolutions, and Mitch Tomlinson President & CEO of Peckham for all their contributions to manufacturing leadership in mid-Michigan! 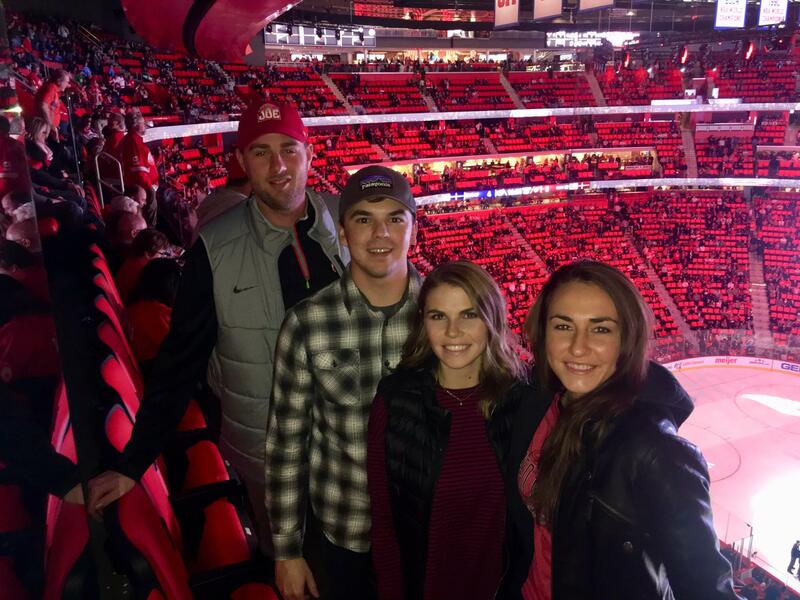 We checked out the new Little Caesars Arena last night! Our Procurement Manager, Brian Pesta, enjoyed cheering on the Wings while experiencing the new and improved Detroit. Eckhart is proud to be expanding to the Metro-Detroit area with our grand opening in January 2018! 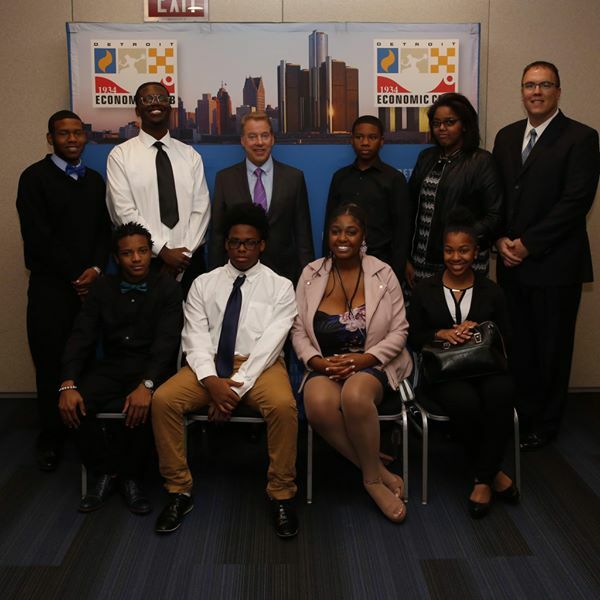 Thanks Ed Bastian, CEO of Delta Airlines, for making time to speak to students from Detroit’s Eastpointe High School at the Detroit Economic Club on Wednesday, November 16th. We agree with you and Paul W. Smith…DTW is the best airport in North America! Exciting to hear Delta is currently hiring 25,000 people to assist the 180,000,000+ customers you serve each year. We wish you continued success in your efforts to keep climbing! A group from Eckhart enjoyed cheering on the MSU Spartans hockey team as they continue their undefeated streak at home! In a fireside chat Tuesday at the Detroit Economic Club, Bill Ford, Executive Chairman of Ford Motor Company, discussed how rapidly accelerating advances in technology are disrupting industries and how his company is addressing the seismic change. 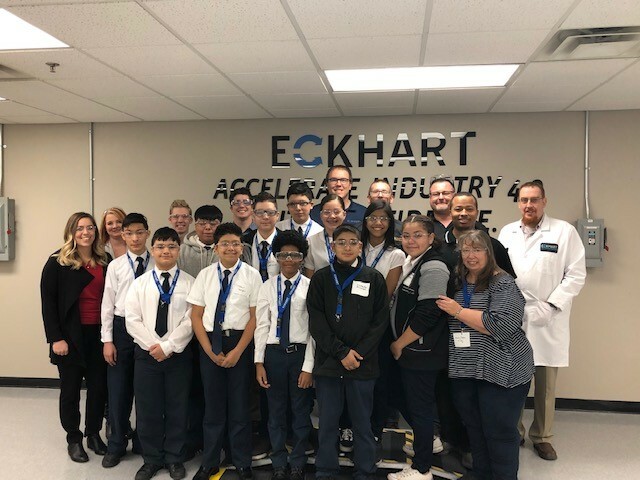 Eckhart was proud to sponsor students from Oak Park High School and provide them with an opportunity to meet Mr. Ford and network with members of the Detroit business community. Michigan Works Macomb/St. Clair Business Partner Appreciation Breakfast from October 25, 2017. 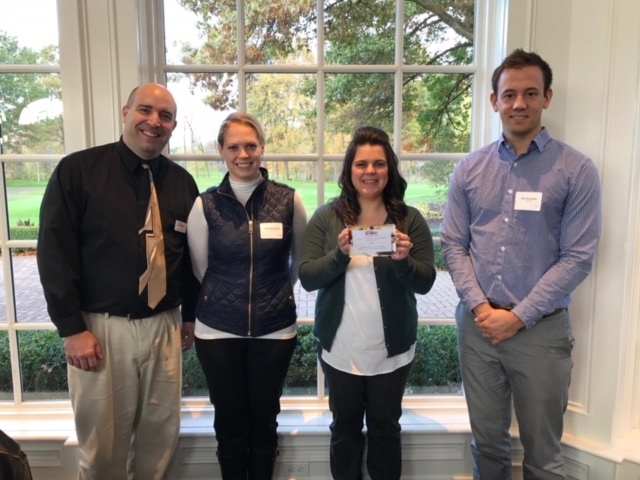 Picture left to right (Scott Bolt – MI Works Business Account Manager, Annalena Seils – Autocraft Business Systems Manager, Andrea Conklin – Human Resources Manager, Dan Burseth – General Manager). We were nominated and awarded for being a top business partner with MI Works in St. Clair County. Eckhart enjoyed wrapping up the summer with a celebratory team trip to the ballpark to cheer on the Detroit Tigers! 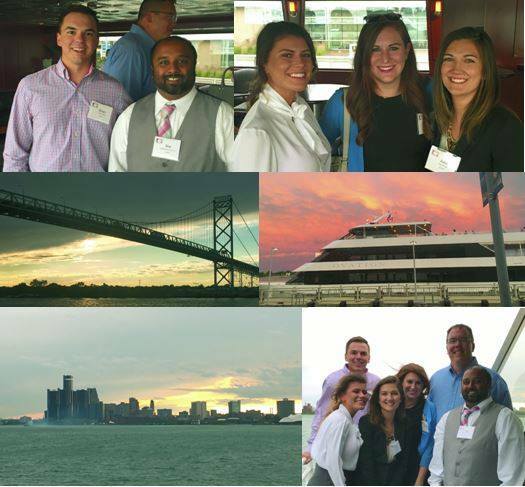 Members of the Eckhart team enjoyed an evening cruise on the Detroit River hosted by the Detroit Economic Club.